Home Canada Oil and Gas Jobs in Canada - Penn West Petroleum Ltd.
Jobs in Canada - Penn West Petroleum Ltd.
Penn West Petroleum Ltd. (TSX: PWT) (NYSE: PWE.BC). 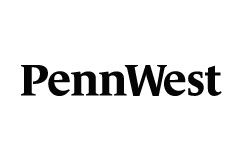 Penn West is a conventional oil and natural gas producer in Canada. Our goal is to be the company that redefines oil and gas excellence in western Canada. Based in Calgary, Penn West operates a significant portfolio of opportunities with a dominant oil position in the Cardium, Alberta Viking and Peace River areas of Alberta.